Could Diabetes Start in the Brain Instead of the Pancreas? I’ve long been a proponent of eating lots of delicious ripe fruit, because of it’s protective effect against diabetes and other disease and because your brain loves sugar. I know it goes against what most people are told, but the science bears it out. Big Pharma just doesn’t want you to know about it, because then you need way less of their pocket-fleecing drugs. And I swear they would do nearly anything to prevent really healthy, vibrant people. But that’s another story. Speaking of brains, doing right by that grey mass in your head is probably a good idea to prevent diabetes too. Despite what the “known” knowledge is about diabetes – that it’s a failure of the pancreas, there is a study that now shows that your brain may be where diabetes starts – at least some of the time – and so it’s a good idea to make sure you’re taking care of that all important stuff between your ears by eating what keeps your brain (and the rest of your body) healthy. The paper found for the first time that dementia-related complications within the brain can also lead to changes in glucose handling and ultimately diabetes. This is contrary to what was previously thought — that diabetes begins with a malfunction in the pancreas or a high fat, high sugar diet. 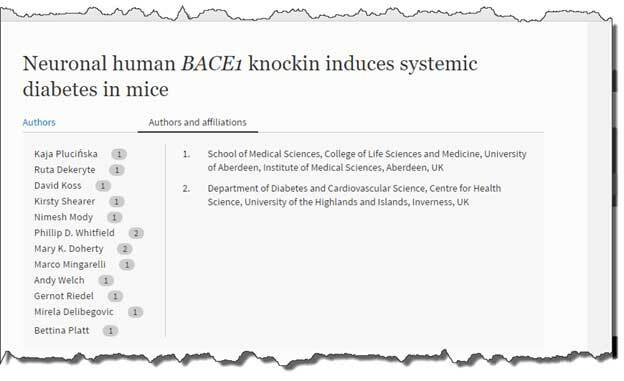 Now this is a mice study, but mice react the same way as humans in their brains and metabolism. So the implications are enormous. Either diabetes could be a brain disease or Alzheimer’s is a metabolic disease or both. You can reverse the metabolic issues around diabetes – click here here to find out more. So if brain dysregulation causes diabetes, then how do you regulate your brain? Regulate your brain through sugar and fat. I’ve already mentioned the benefits of ripe fruit. Your brain loves it and it has a major, major protective effect on your body. That’s the easy part. That’s feeding your brain with the good stuff to help it regulate and prevent diseases like Alzheimer’s and Diabetes. The fat you are probably eating is destroying your brain’s ability to regulate itself. But you need to do something about it now that you know. Most of us have been told our whole lives to eat vegetable oil, soy oil, canola oil, and corn oil. We’ve been told that these oils are healthy. That they do our body good. That is about the biggest lie we have ever been told. In all reality, these oils (PUFAs) are destroying our health. According to this research diabetes and Alzheimer’s are intertwined in ways that are surprising to say the least. And diabetes is now known to come from the brain and not the pancreas – at least some of the time – which is crazy, but true. And both diseases seem to come from these toxic brain proteins. (I’m getting back to PUFAs in a minute). A gene involved in the production of toxic proteins in the brain not only led to Alzheimer’s -like symptoms, but also to the development of diabetic complications. So what PUFAs do in the body is turn into a sticky, greasy mess. Think THAT has anything to do with those toxic brain proteins? I would bet my bottom dollar that it does. Because we already know for sure that PUFAs contribute to inflammation, autoimmune disease and decreased male function. Basically, there is NO WAY I will ever put PUFAs in my body again. And I recommend that you don’t either. Just watch it, because they are in all kinds of processed foods – as well as what you put in your cooking. Lower fat diets actually PROTECT health. And if you do eat fat (and you need some) then eat coconut oil or butter. They don’t go rancid in your body. Protect your brain. Protect your health.